NEW YORK — The NYPD has warned New Yorkers against flying drones over big crowds, but cops now have more than a dozen of them ready to keep an eye the city’s skies. The Police Department on Tuesday unveiled its new fleet of 14 drones that it says will help keep both civilians and officers safe. 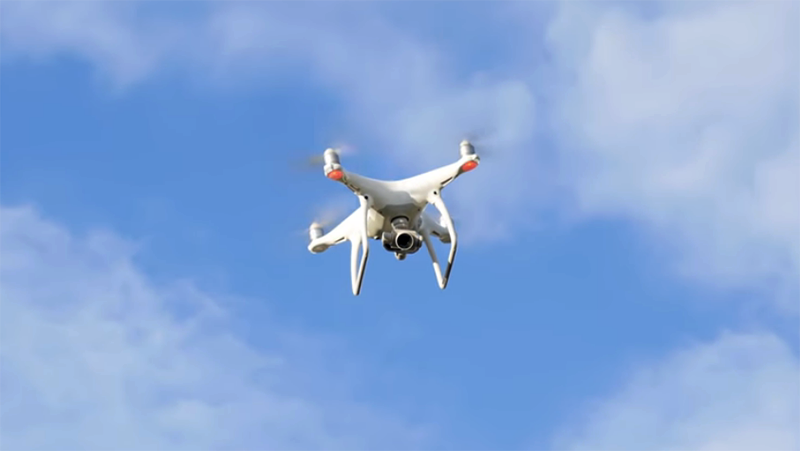 In the NYPD’s new “Unmanned Aircraft System” program, cops will use the flyers to help with search and rescue missions, hostage situations and evidence searches at inaccessible sites, among other circumstances, according to a department news release. “As the largest municipal police department in the United States, the NYPD must always be willing to leverage the benefits of new and always-improving technology,” Police Commissioner James O’Neill said in a statement. The fleet consists of 11 small drones to be used for tactical operations, two bigger ones equipped with 3-D mapping and thermal imaging capabilities, and one for training and testing, the NYPD said. The drones will be piloted only by licensed and trained cops from the NYPD’s Technical Assistance Response Unit, officials said. And they won’t be equipped with a weapon or used for routine patrols, warrantless searches or traffic enforcement, according to the Police Department. The NYPD says more than 900 state and local police, fire and emergency units across the country have drones. New York police officials met with other police departments and sought feedback from advocates and City Council members as the program was developed, the NYPD said. Despite the Police Department’s assurances, the program drew fire from advocates worried it will become a surveillance tool that could jeopardize New Yorkers’ privacy rights. In an October letter to an NYPD official, the New York Civil Liberties Union expressed concerns that the department’s draft drone policy left too much room for the kind of surveillance the NYPD said it would avoid. While the NYCLU said the department made some changes, its policy still “falls far short” of balancing law-enforcement needs against privacy rights, said Christopher Dunn, the group’s associate legal director. “The NYPD’s drone policy places no meaningful restrictions on police deployment of drones in New York City and opens the door to the police department building a permanent archive of drone footage of political activity and intimate private behavior visible only from the sky,” Dunn said in a statement. The Council on American-Islamic Relations cast the the program as troubling given the NYPD’s history of religious profiling. The department settled a lawsuit in April over its post-9/11 surveillance of Muslims in New Jersey. “The NYPD shouldn’t be permitted to purchase these new tools until it shows it can use its existing tools without discriminating against marginalized communities,” Albert Fox Cahn, CAIR New York’s legal director, said in a statement.